The Vesta Lightweight Stacking Chair is a great multi-purpose chair with a high stacking capability. The new and improved design has a parallel skid base frame for easy and efficient linking and stacking. There are two types of link; either welded at the centre of the frame, or loose plastic clips. If required this chair also has the option of fitted armrests. 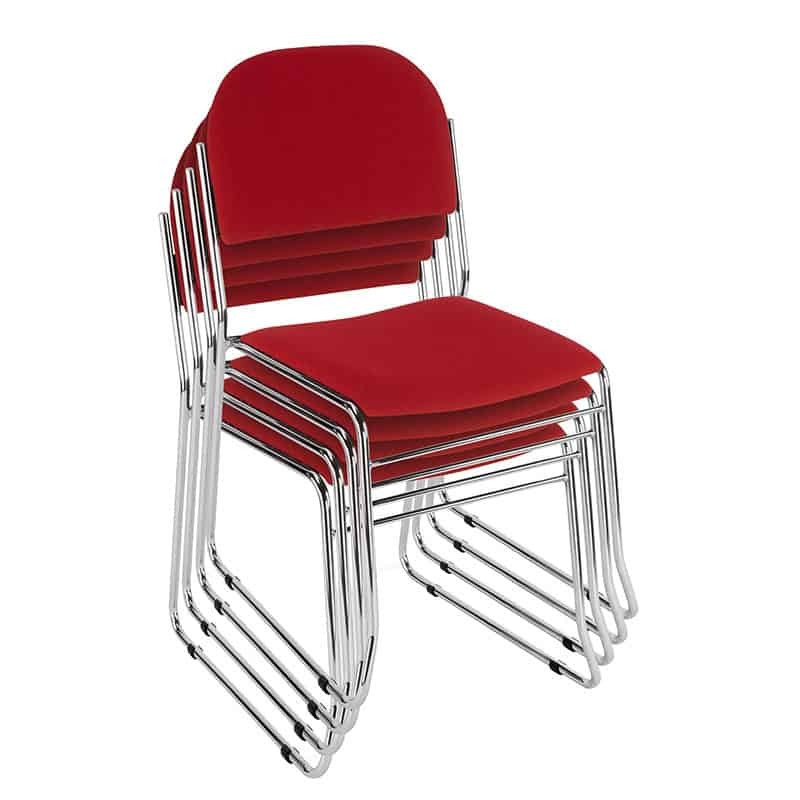 These stackable chairs are fully upholstered and come in a wide range of fire retardant fabrics. We include the hard-wearing, contract use Xtreme material as this is great for busy environments unlike the ‘base’ level fabrics some companies offer. If preferred you can upgrade to the easy to clean Highland fabric which is treated to be waterproof and stain resistant. These Lightweight Stacking chairs stack 10 high on the floor, or when used with the Zigzag Stacking Trolley you can stack up to 25 high. To arrange to see a sample chair or for a competitive quotation on higher quantities please call the sales team. All our church members are delighted with these chairs. Lightweight and comfortable – they tick all the boxes! Thank you. From £69.95 to £89.95 All prices subject to VAT.